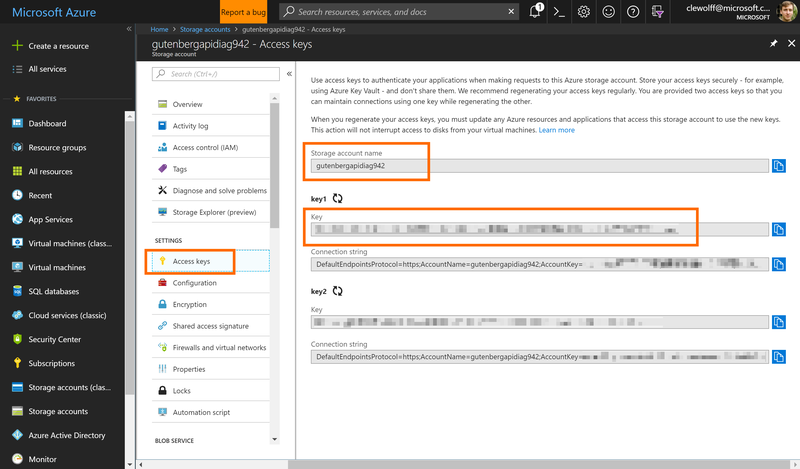 To connect to Azure Blobs you need your storage account name and access key. 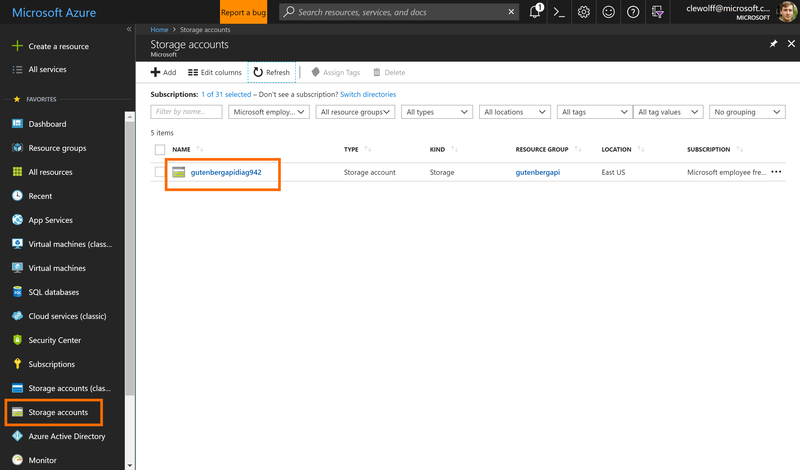 You can retrieve this information in the Azure Management Portal by going to “Storage Accounts” -> “Access Keys” as shown on the screenshots below. Note that libcloud only supports general purpose storage accounts so make sure to select the “Storage (general purpose v1)” account kind when creating your storage account as shown on the screenshot below. Once you have obtained your credentials you can instantiate the driver as shown below.